What if you start a band, sell a bunch of albums and become part of the mainstream, but critics don’t seem to think your music is worth listening to? How is it possible to be nominated for four Grammy Awards but all of your records have been given a “C” type of rating? Today’s band has managed to do just that—something I’m not exactly sure I’ve seen before. In Denver, Colorado there’s a church that ended up forming one of the most influential pop acts of the 2000s. Faith Christian Academy helped shape the lives of three young men who attended school and helped lead worship there. Isaac Slade and Joe King began jam sessions that led to writing songs. The two would bring in a guitarist, drummer and bassist—the bass player being Isaac’s little brother. Things didn’t work out between the brothers, and shortly thereafter the younger Slade was asked to leave. The departure and rift would end up becoming the inspiration of their first lead single on the Billboard charts. After tinkering with the lineup further, the foursome ensemble was born. Each band member put their idea for a name in a hat, and the winning choice was The Fray—a name that struck because of the bands frequent arguing over composition and lyrics. Forming in 2002 and releasing their first extended play (EP) the same year, The Fray seemed poised for a major takeoff. Their second EP came out in 2003 garnered the band local fame, but they struggled to launch a successful single on Denver radio. They finally would play the track “Cable Car” (referenced above about brotherly turmoil) and station KTCL picked it up. The song would become so popular it attracted Epic Records and they were signed in December of 2004. 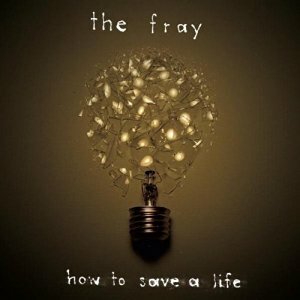 This led to their debut album How To Save A Life which was released in September of 2005. The album title single began seeing major television play after ABC used it for their hit show Grey’s Anatomy. It would end up being the seventh longest charting single of all time, at 58 weeks. In spite of all the success, mainstream critics were mixed, with most arguments saying the music lacked originality or it simply was missing any excitement. The Christian undertones bothered some as well, while those that support the church were beyond enthusiastic to have a band with a good message seeing such success. The band and this album are piano ballads over rock music. Because of that sound being the signature of Coldplay, who was also incredibly popular at the time, they got that type of label. Perhaps that’s a bit unfair, because the sound is quite a bit different in my opinion. This album certainly isn’t going to get you jacked up for the big game, but there’s also no denying the talent especially vocally and from a songwriting perspective. With Denver not exactly being a music hotbed (and the album physically being recorded in Bloomington, Indiana) you sort of wonder whether if this had come from L.A., Seattle or New York if the reception may have been different. There is certainly a large market for this type of alt-rock/pop blend—and in my opinion, The Fray is maybe just a half of a tier below the Coldplay’s of the world which isn’t a bad thing. I tend to be a sucker for music with a piano—no idea why, it’s just always been something I’ve enjoyed listening to. So this is kind of in my wheelhouse, and a couple tracks have me happily listening. How To Save A Life is certainly worth a fiver on my foggy, rainy Madison morning, and hopefully in yours too.